If you have any questions about our range of moving house or rented home cleaning services, there’s a good chance you’ll find answers to them here. If not, give us a call on 13 22 31 or send us your enquiry online and we’ll be happy to help. That depends on the type of clean you require and the size of your home. Rather than having standard pricing, we tailor all our quotes to meet your needs. Once we’ve quoted there’s no obligation. Take as much time as you want to think about it and get back to us. Once you give us the go-ahead we will schedule in a cleaning date and time to suit you. It’s easy and convenient as we accept all major credit and debit cards. Of course. Once you request a quote a Myhome representative will be in touch to make a viewing appointment. He or she will then take a quick look around your home (number of rooms, layout, size etc) then provide an on-the-spot quote. 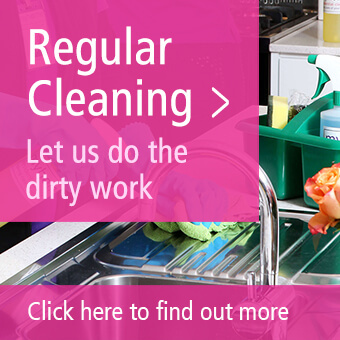 When you’re ready, let us know and we’ll arrange the clean for when it’s best for you. Simple. How do I book my clean? You can ask us to go ahead at the time we provide a quote, or anytime afterwards by calling us on 13 22 31 or by using our online enquiry form. How early should I book my clean? It’s best if you can book a week in advance to give yourself and us enough time. If you can’t it’s not a problem as we’re used to helping people at short notice if required. Talk to us as we’re always keen to help wherever we can. What about access to my property if I’m out at work? That’s not a problem. We used to holding keys for many of our regular cleaning customers so as long as you’re happy, we’ll carry out the clean while you’re at work. It goes without saying that we will handle your keys in the best interests of security and discretion at all times. Alternatively, if you’d prefer to be at home when our cleaners visit that’s fine too. Do I have to leave my rental property empty? Yes it’s best. That way we can ensure that nothing is missed and that your packing boxes or furniture don’t get in the way when we clean. Obviously, if you’re property was furnished to start with, that’s fine and we’ll work around what’s there. Because our interview, training and vetting procedures help ensure our staff are all highly dependable, careful, discreet and trustworthy. This is a high priority of ours and one we take very seriously. We have a reputation as one of the best home cleaning services, as such we will do everything within our power to keep it that way. 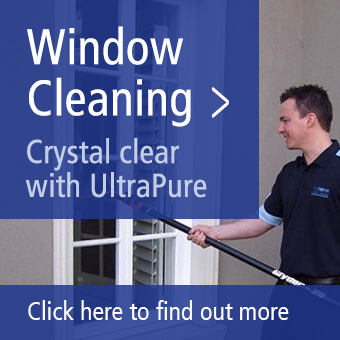 We use our own unique 48 Point Cleaning System that divides your home into four key sections, and then into the individual areas to be cleaned within each of the four sections. This comprehensive systems means that nothing gets missed, down to the tiniest of detail, ensuring an exceptionally high standard of clean. Myhome take their social responsibility seriously and we are always striving to improve our ‘carbon footprint’. As a result we go as far as possible to use products that don’t impact the environment in a negative way. Do you provide any other cleaning services? Yes we do. 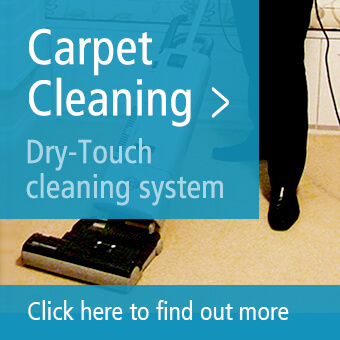 If you need it, we can also take care of your carpet cleaning and your window cleaning. 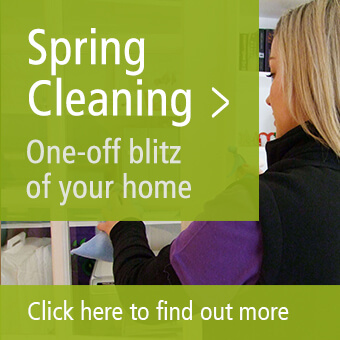 If it’s a different type of home cleaning you require, we also provide regular cleaning and also Spring cleaning if you need a one-off blitz clean. Do you guarantee your cleans? Yes. All our cleaning services are covered by our 100% satisfaction guarantee. If for any reasons you’re not completely happy with any aspect of our clean, we’ll come back and do it again for free! Do you contact my Real Estate Agent or Property Rental Company? Whilst we work alongside a number of local real estate agents and property rental companies, we don’t actually contact them on your behalf. However, if you let them know that Myhome are talking care of your cleaning, it is likely to put their minds at rest and help them with their process. How long does it usually take to get the clean done? Once again, it all depends on the size of the home and the level of clean required to bring it up to our own high standards. The good news is that because our pricing is based on the job, not per hour, you don’t have to worry. However as a rough guide, it’s likely to be anywhere between 2 and 8 hours. What areas of Melbourne do you cover? Albert Park, Balwyn, Bentleigh, Brighton, Camberwell, Caulfield, Elwood, Essendon, Hampton, Hawthorn, Hawthorn East, Kew, Kew East, Mount Eliza, Oakleigh, Richmond, St Kilda, Surrey Hills and Toorak.